The Southern Nevada gaming industry has recovered. There’s no doubt about that, and gradual improvement should continue in 2017, according to Frank Schreck. 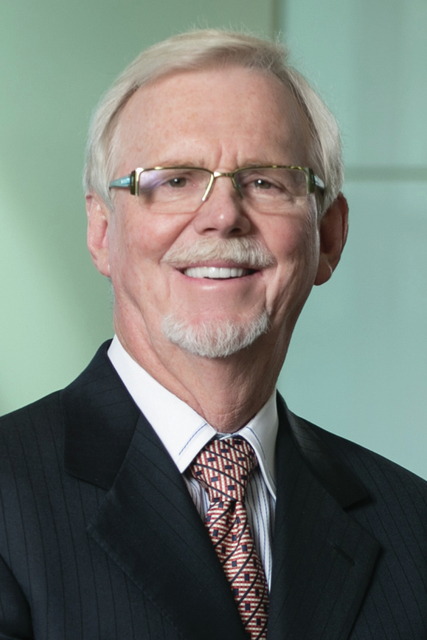 Keith Smith, president and CEO of Boyd Gaming. 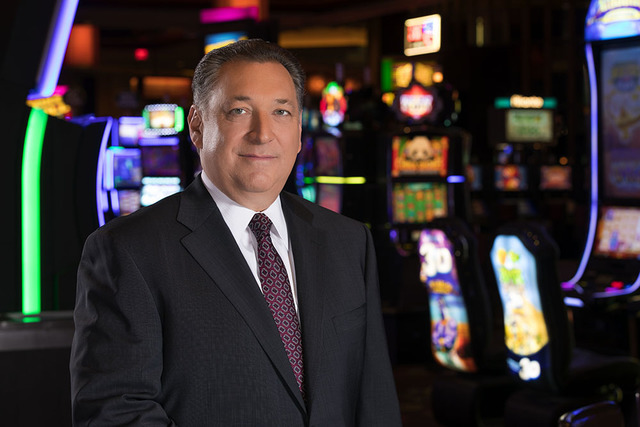 The Las Vegas native and prominent gaming attorney with Brownstein Hyatt Farber Schreck said that while visitation numbers show the region has returned to pre-Great Recession levels and even surpassed it, spending by customers hasn’t returned to those levels yet. That’s a factor in the true measure of a Las Vegas recovery in the gaming industry — construction of new casinos, Schreck said. In December, Australian-based Crown Resorts pulled out of the Alon Las Vegas resort project near the Trump International Hotel. Alon is exploring other options after their principal financer backer pulled out. There hasn’t been much progression in the $4 billion Resorts World Las Vegas project at the former Stardust. The groundbreaking took place in May 2015 for what’s planned to be a 3,000-room resort. Malaysia-based Genting had announced at the time a 2018 opening. This inaction gives the impression that the people who have those properties and are looking at building feel it’s not the appropriate time to get into the industry, he said. Schreck attributed Crown’s decision to the restructuring they’re doing all over the world, and he said Genting has had challenges in other businesses. They’re “pretty solid,” but still haven’t “fired this bullet yet,” he said. He even said his view about the recovery applies to the mothballed Fontainebleau resort project on the Strip. How long will it take before construction takes off again on the Strip? Schreck said he doesn’t know for certain. As for 2017 on the Las Vegas gaming industry, Schreck said it will be a continuation of 2016 and maintain a “fairly high level.” He said he hopes spending increases as the economy expands because if people feel like they have more expendable dollars, that translates to people coming to Las Vegas and spending more. Las Vegas has had a difficult time recovering because it was such a steep downturn, Schreck said. With major casinos, their success, absent high-end players from Asia, comes from U.S. citizens. The recession cost people jobs, caused their 401k(s) to decline, the value of their homes dropped dramatically, and many homes went into foreclosure, Schreck said. Schreck said it’s been great for Las Vegas that locally based companies like MGM Resorts International, Caesars Entertainment, Wynn Resorts and Las Vegas Sands are in many other jurisdictions and have successful projects. Success in those jurisdictions leads to a stronger company, which then gives them the ability to expand in Las Vegas. When New Jersey casinos came online, many thought there would be money and brain drain. They thought good operators would leave Nevada and go to New Jersey and the state would lose customers, Schreck said. What happened is New Jersey showed Wall Street that gaming was not a criminal enterprise but a growth industry and within a year or two after resorts opened in New Jersey, bank and financial institutions lent to Nevada companies and helped them grow. Japan’s recent legalization of casino gaming has a lot of remaining questions before evaluating how that’s going to work, Schreck said. The country must determine how many casinos they’re going to have, the size of those casinos, where they’re located, and what the tax structure is going to be. Schreck said it’s exciting the prospects have gone this far in Japan because it’s a “heck of a market. Nothing is going to happen over the next couple of years,” he said. As for gaming and the future of sports betting under the Trump Administration, Schreck said Trump will be powerless to expand it beyond Nevada when it comes to individual game wagers. That will fall to Congress, and former Nev. Sen. Harry Reid couldn’t get through a poker bill when he served as majority leader, he said. That makes it a big hurdle for sports betting. Schreck said he’s excited about the prospect of the Oakland Raiders relocating the NFL franchise to Las Vegas. It will pack the town on weekends the Raiders play, he said. Boyd announced in December it completed its acquisition of Las Vegas assets of Cannery Casinos and Resorts. The acquisition of two properties — the 200-room Cannery on Craig Road in North Las Vegas and the 300-room Eastside Cannery on Boulder Highway — expands Boyd Gaming to 12 properties in Southern Nevada and 24 properties nationwide. “The Cannery transaction, along with our recent acquisition of Aliante (Casino in North Las Vegas in September), further expands Boyd Gaming’s presence in the high-performing Las Vegas locals market,” said Keith Smith, Boyd Gaming president and chief executive officer. Both properties will remain mostly unchanged for the foreseeable future and current operating hours for each property’s amenities will remain the same, the company announced. The properties are expected to join Boyd Gaming’s nationwide loyalty program — B Connected — in 2017.